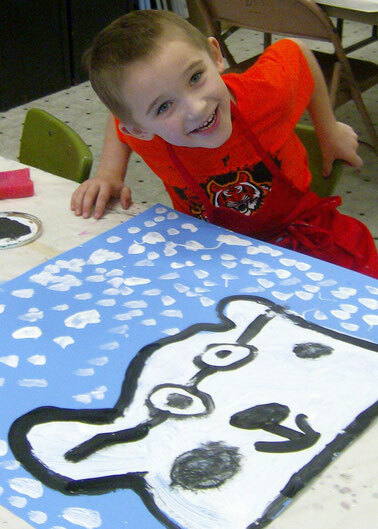 We offer Art Classes for all ages! Thursdays, 1:00 - 2:00 pm. 4-week sessions, $35.00 per session. Thursdays, 3:30 - 5:30 pm. 4-week sessions, $55.00 per session. SUMMER: 3:00 - 5:00 pm. 4-week sessions, $55.00 per session. Fridays, 1:00 - 2:30 pm. 4-week sessions, $35.00 per session. Fridays, 3:30-5: pm. 4-week sessions, $35 per session. SUMMER: 1:00 - 3:00 pm, $15.00 per class, $50.00 per 4-week session. Tuesdays, 1:30 - 3:30 pm, Open Studio days $5.00, Art Classes $15.00. School year only. All art supplies for children's art classes are provided; however, students may bring their usual or favorite art supplies at any time. Wednesdays, 6:30 - 8:30 pm. $10 per class. Seasonal class, please contact us for dates. BAC admits students of any race, color, and national or ethnic origin.